Owning a motorcycle has its merits as well as demerits. Your command on your own bike will, most certainly, be faultless. Your experience with it has made you its true master, in every sense of the word. Owning a bike also means complete freedom for the rider — if you own a bike, you can just kick start it and be on the road whenever you want. However, renting comes with it benefits as well. A rental service provides you with options — you can rent your dream bike for a bargain price. If you are not happy with it, you can replace it with a more agreeable option anytime you want. You get to test new rides all the time and you also save money and have more peace of mind because you are not constantly worrying about maintenance costs, insurance fee, and so on. The buying vs. renting debate is a moot topic. However, with new rental services coming up that showcase an array of exceptional bikes, even staunch opponents of bike-renting have been found to be wavering in their stand. Houston is home to many motorcycle rental service providers. Finding a bike rental service in Houston, Texas won’t be difficult. However, when you hire a bike, make sure the paperwork is proper and you have all the necessary motorcycle gears. Also, remember to get the phone number of a trusted Houston motorcycle accident lawyer from the rental service provider. It’s important to be well-prepared in case you land in any trouble. 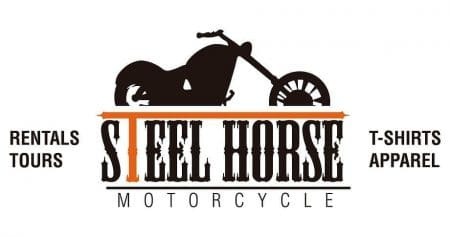 Steel Horse Rentals is one of the best rental services provider in Houston. Their customer service is exemplary. They make sure people are well assisted and do not have to wait for long. They also double check every bike before renting it to ensure that the client will enjoy a hassle-free experience. Their prices are reasonable and they offer a vast selection of bikes. Riders share is a very unique concept. This website is the Airbnb equivalent of the motorcycle rental world. Renters can directly contact bike owners and send a booking request. The owner must either accept or decline the booking in 48 hours. However, all bike owners must pass a background check to be able to successfully rent their bike. The best part about this service is that owners and renters can cancel the booking if there is some genuine problem. Other than Houston, Riders Share also operates services in Los Angeles, San Francisco, Denver, and Washington. Twisted Road is yet another bike rental service that draws inspiration from Airbnb. Austin came up with the idea of Twisted Road while exploring the country’s biggest and most beautiful national parks — Zion, The Grand Canyon, and Bryce. Today, this rental service is one of the biggest rental services in the country, with branches in numerous cities. If you are in Houston and need to rent a motorcycle, you must definitely give their website a visit. Twisted Road is a good example of a small company doing great work. Click here for directions to all rental locations.